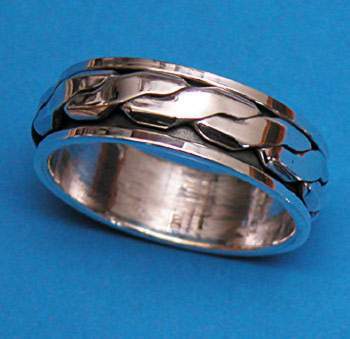 Home > Wholesale Silver Jewelry > Rings > Braided cable spinner ring. Inner portion spins independently of outer shank. Modeled on Tibetan prayer wheel design.